Growing a Business Topics: Research, Fit, Target, Marketing, Word-of-Mouth, Conversions, Profit Margin, Spoil, Current, Team, C ask Flow, Automate. From Creator to Competitor. Many new small businesses begin with one single idea – a product or service that may transform the world. However, those individuals who have the ability to invent, may not have the expertise to turn it into a successful business. For this reason, Wiz4.biz is dedicated to offering comprehensive tips, advice & guidance to ensure that startup founders or small business owners set out on the right tracks when starting a new business. If you want to grow your startup, read on this post-. Each point will guide you to the exact requirements of the individual business. 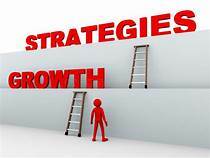 If you want to grow, you need to have a clear strategy. Growth is a result of doing many small things “right” on a regular basis. Let’s discuss a few tactics that you can start implementing now. Recommendations to grow Virally: If you want your start-up to become the next big thing, it’s not good enough to just build a great product. Unless you can afford to buy users, you’ll have to grow virally. The difference between getting one of your new users to convince one friend to buy and that person getting two new friends, is huge. Assuming you start with a few users. After few months, let’s hope you have multiplied that. Let’s see how you can get thousands of users, instead of just a few hundred. Do you know what actually your niche is? It’s important to carve out your place in your industry and be different from others. This helps you choose the right products that your customers need. The business founder/owner must analyze their own business, identifying its strengths & weaknesses. [Do a SWAT analysis] They must also spend time researching their competitors. Utilizing this as the first step in the process will help individuals to outline their own business objectives. One of the most fundamental small business guidelines is to know your customers. You want to identify exactly who is the best audience for your products or services. Research the demographics of your market and find out as much as you can about who can benefit most from your products. A great product or service will only take a business so far. To ensure continued success, individuals must create a solid Marketing Plan. Marketing practices have progressed considerably with the advent of the Internet, and consultancy firms can provide tools needed for businesses to market themselves successfully both online & offline. One of the most important aspect of marketing is creating a bBrand identity for your business as it increases brand awareness among the people. a) Get users to tell others about your Product simply by using it. This is probably the best Tip in this Post and one of the hardest to achieve. b) Make it in your Users’s best interest to invite their friends.Offer them an incentive. Another essential quality of small business growth is under-standing which products can be the most profitable for you. This isn’t always the products you sell in the greatest quantity or at the highest price. Identifying a most profitable products which will provide a valuable clue about the direction you should take in the future. Remember it’s easier to lower the $$$ than raise it. Start a little higher than you or your advisors think and see what happens. In every business, some customers are more profitable than others. These may be the customers who buy from you most frequently or who recommend your business to others. When you identify these customers, it’s wise to make a special effort at cultivating a good business relation with them. Develop a close relationship with them or offer incentives. Whatever works. Always keep yourself updated with the latest technological advancements in your field. Read books, articles & do research online to keep yourself abreast with current affairs, market & competitive growth of others in the industry, to keep up-to-date with what’s developing. The people who work with or for you, are your greatest strength when it comes to growing your business. Cultivate their loyalty and show them that you’re in tune with their needs. A team that works in harmony towards a common goal is the best stimulant for growing a small business. While a Vision is great for long-term goals, you also have to focus on the short term goals. Short terms goal are most important for Cash Flow then for anything else. Make sure you have the right amount of Inventory to meet demand, stay on top of Accounts payments and be on the best possible terms with suppliers. #12. Automate your Operations . . .
as many aspects of your business as possible. It will free up your time to concentrate on more important things – like growing. easier to scale up. Look for SW tools and services that help you do things faster and more efficiently. Comments: Would you recommend any other Tips on “Growing a Business”? For more Info, click on Growing a Business.